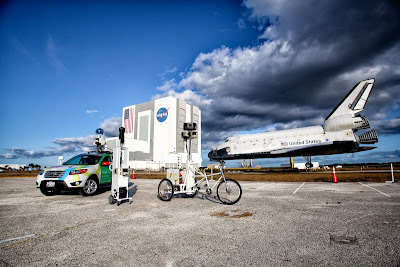 On Kennedy Space Center’s 50th birthday, Google released the street view of Kennedy Space Center.Its is the largest and special Street View Collection till date. I am in love with the street view since it was launched. Now we have more reasons to excited about. I would like to thank Google and Nasa for such an awesome collaboration. Its really inspiring and would surely inspire young kids. Gone are the days when kids used to dream about an astronaut. Thanks to the Google street view. Dream is now a Reality!!! Post in your comments and let me know what do you think about this awesome feature?